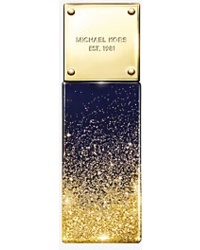 Michael Kors has launched Midnight Shimmer, a new fragrance for women. Indulge in Midnight Shimmer, our sparkling and captivating fragrance that promises to illuminate the evening. Featuring a blend of soft musk, jasmine petals and sensual vanilla, this rich, woody scent is the perfect finishing touch before a glamorous night out. Michael Kors Midnight Shimmer is available in 50 and 100 ml Eau de Parfum. I find this bottle extremely compelling, I must say. Vanilla, woods, musk – could smell fabulous, could smell like everything else in the department store…I would like to like it.